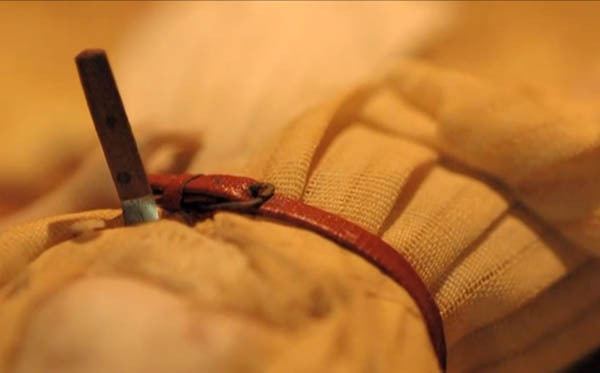 “The new documentary film, Of Dolls and Murder, explores our collective fascination with forensics while unearthing the criminal element that lurks in one particularly gruesome collection of dollhouses. Rather than reflecting an idealized version of reality, these surreal dollhouses reveal the darker, disturbing side of domestic life. These “Nutshell Studies” dollhouses as they were called were created by Frances Glessner Lee, aka the “Patron Saint of Forensics”, a grandmother active in the field in the 1930s and 40s. The 20 dollhouse scenes (2 are missing) were built to teach detectives and students about forensics, and only recreated the most curious and unsolved murders. But do they tell a bigger story? From our global obsession with shows like CSI, it’s clear people everywhere are obsessed with murder and death — and the steps taken to either bring the transgressors to justice, or frankly learn how to get away with such an act. Clearly this obsession is the real subtext of the film. Narrated by John Waters, Of Dolls and Murder was made by independent documentary filmmaker Susan Marks, and will be screening nationwide in the upcoming weeks.